#0537* – Justin ADAMS Pilot of UKIP Banner Stunt Crash – Sentenced. Justin ADAMS Pilot of UKIP Banner Stunt Crash – Sentenced! Over a Year after the unfortunate crash – with his work, company, marriage, health, sanity, home, family, plane and more in ruins – having spent 6 months in Prison awaiting outcome let us hope UKIP can now try to ensure this unfortunate man gets the medical help he clearly needs – rather than further berate him! The help UKIP can provide will be a measure of what they might be like if ever they rise above Mare in a village council!! as this blog stated right at the outset this now clearly seems a mental health issue and clearly Justin Adams has been deeply harmed by the plane crash whilst Nigel Farage – being a politician with no job to worry about – has merely capitalised on his personal survival. As stated before Justice delayed is Justice denied and holding Justin Adams in a prison in his fragile state when clearly he needed medical help can hardly be seen as Justice. 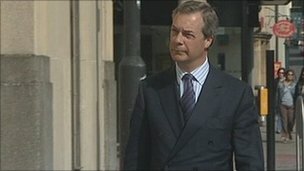 A pilot found guilty of threatening to kill UKIP leader Nigel Farage following a plane crash has been given a two-year supervised community order. The court heard the recording of a phone call where Adams claimed to have a 9mm pistol. Adams, 46, of Oxfordshire, said his threats were “a cry for help”. 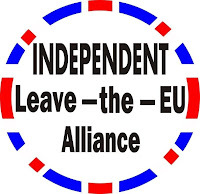 Mr Farage said he intends to “draw a line under this whole affair”. In a statement, he added: “Today’s sentencing marks the end of a sad and tragic episode. 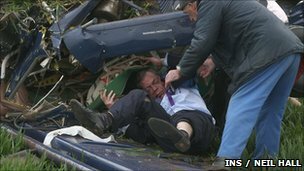 The crash in Northamptonshire on 6 May last year, the day of the 2010 General Election, left both self-employed pilot Adams and Mr Farage in hospital. An Air Accidents Investigation Branch report found the plane crashed when a campaign banner it was towing became entangled, causing the plane’s nose to drop. A subsequent Civil Aviation Authority (CAA) inquiry, which involved investigator Martin James and looked into whether Adams was qualified to fly with a banner, cleared the pilot. The court heard that Adams lost work in the six months it took for the CAA investigation into the crash to take place and he was unable to have his plane repaired, as insurers would not pay out until the investigation had been completed. As well as being angry about the length of time the investigation took, Adams also felt resentment towards Mr Farage, judge Mr Justice Saunders said. The pilot believed he had lost out on an opportunity to sell his story, having been advised not to speak to the press. He made threats to kill both CAA crash investigator Mr James and Mr Farage. During the trial, jurors were played a recording of phone call by Adams to police. He said: “I’m going to kill somebody or two”, the court heard. Adams was found guilty of five counts of making threats to kill by a jury in April. Mr Justice Saunders said Adams was suffering from “a depressive order of moderate severity” which had been triggered by the crash. The judge told the court: “He was also drinking to excess, which undoubtedly impaired his judgment and affected his behaviour. Adams has been in custody for six months before sentencing. To view many more stories and coverage of this event enter >justin adamsSEARCH BOXTWITTER< feed.